If you have a preschooler or young elementary student, you’ve probably heard of Dora the Explorer. Dora is a cartoon shown on Nickelodeon aimed at young preschool children, who explores and goes on a new adventure in every episode. She has the kids at home help her find her way and help her on the way with her variety of friends and even foes. She encourages the viewers to help her along the way, while teaching them different phrases in Spanish. So now that you know who you’re kids are talking about, they’re probably asking to play along with Dora in her many adventures. But just now finding out who this little girl is, where exactly do you find games that feature her? More importantly, where do you find the free Dora computer games? Being a popular Nickelodeon character, Dora has a lot of merchandise to her name. Among them are various video games for both console playing and PC playing. But as a money conscious parent, you’d like something a bit cheaper and perhaps easily attainable. Look no further than the game section at Nick Jr.com. Nick Jr is a sister website to the main Nickelodeon page, which is aimed at preschoolers. It’s here that you and your child can pick from about 58 different online games dedicated to Dora the Explorer. Choosing the Dora page will take you to her game page. Towards the bottom is an age listing, which lists which games can be played and are helpful to which age group. These games are ranged from 2 year olds all the way up to 6 year olds; the numbers listed next to the age group notates how many games are playable. The majority of games on this site are free, though there are a couple of premium titles. These premium titles can be tried before buying them and they are easily downloadable after purchase and range from about $7 to $20. When you or your child chooses a Dora game, you’ll be taken to that game’s page. As a parent, you’ll be able to see what the objective of the game is, as well as what the game’s requirements are. Most importantly, you’ll be able to see what your child will learning when playing. On the right hand, you’ll see the areas for requirements and developmental skills; hovering over them with your mouse will give you a little more information. Underneath developmental skills is the age grouping for what age the game is targeted and appropriate for. One thing your child may enjoy are some of the printables. Printables offer a child a chance to make their own design and then print it out to show if off (like on the refrigerator). Most of the games offered on Nick Jr (as well as Nickelodeon) are available for printables and Dora is no exception. On some of the games – as noted by the requirements area – when the game is completed, there is an option to print out one of the pictures from the game. 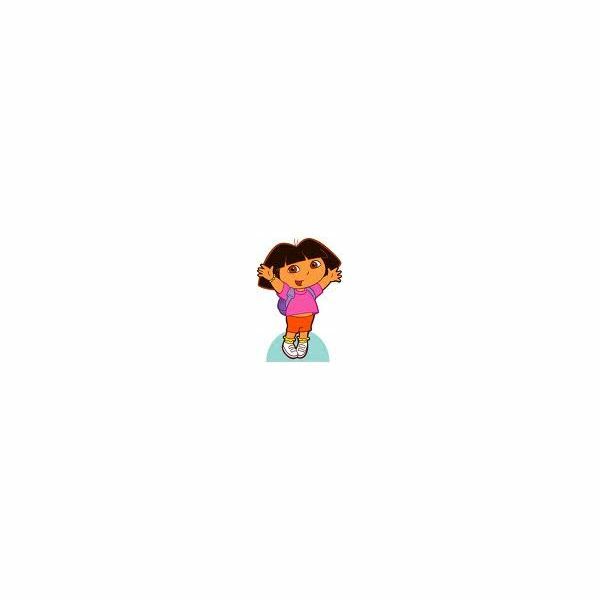 The best place to find free Dora the Explorer games are on the parent site of Nick Jr. Along with the games, your child will be able to watch videos of the show, as well as finding out what time the show will be scheduled to show. A collection of articles about Dora the Explorer the game.